January 2018. 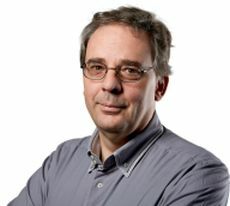 Stefan Knapp from the Institute of Pharmaceutical Chemistry and the Buchmann Institute for Molecular Life Sciences at Goethe University Frankfurt is the 10th most cited protein scientist in Europe. Stefan Knapp, who joined Goethe University in 2015 from Oxford University, investigates the molecular mechanisms that regulate cellular signalling networks and how these mechanisms can be exploited for the design of selective inhibitors. This latest Lab Times ranking is based on an analysis of research articles published between 2009 and 2015 in "protein" research journals. Lab Times, a news magazine for the European Life Sciences, has conducted such analyses for a number of different disciplines for European research in the life sciences.